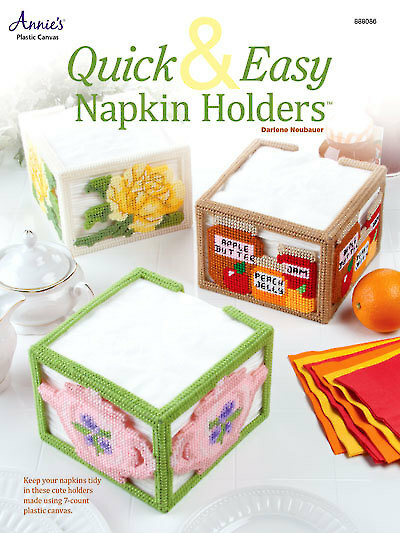 Keep your napkins handy in these 3 decorative napkin holders. 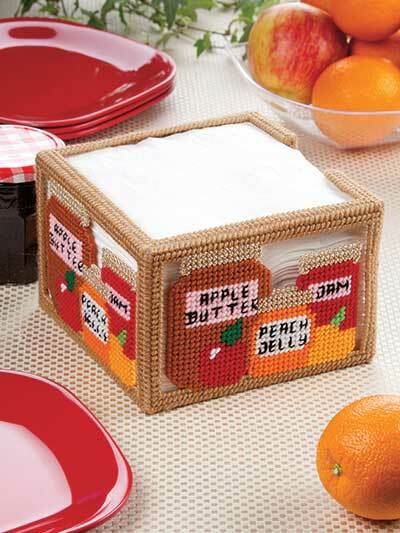 A teapot, rose, and jams and jellies are all made using 7-count plastic canvas and worsted-weight yarn. 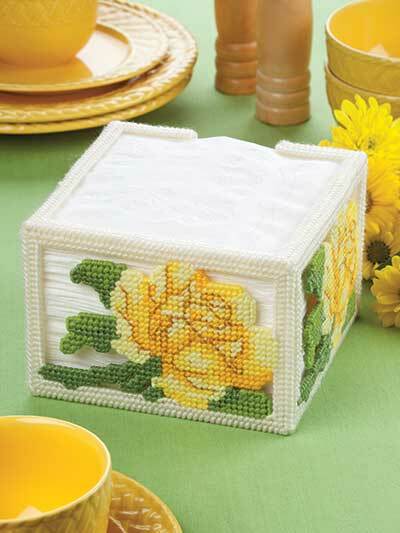 Each holder holds 100 (13" x 12.875") napkins. 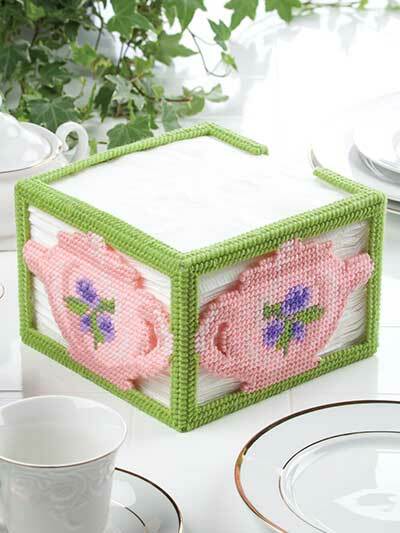 I am just cutting out my first napkin holder but it already looks like it is going to be gorgeous. Can't wait to finish it.